RALEIGH, N.C. -- Myers Bigel, the largest independent patent law firm in the Carolinas, is proud to announce that five members of its talented legal team have been recognized by IP STARS, the leading specialist guide to IP firms and practitioners worldwide. In addition, Myers Bigel was one of only three firms in North Carolina garnering a “Highly Recommended” ranking. “We’re flattered and excited to be highly recommended by our peers and clients, which reaffirms that we’re doing a good job of protecting intellectual property,” said Jim Cannon, co-managing partner of the firm. IP STARS researches thousands of firms each year over a six-month period, covering 80 jurisdictions making it the most comprehensive and authoritative analysis of the industry. No firm or individual can pay to be ranked or to influence the results. Myers Bigel attorneys being recognized in 2018 include Randy Ayers, David Beatty, Jim Cannon, Scott Moore and Julie Richardson. Julie Richardson has expertise in patent licensing, patent opinion work and trademarks, focusing her practice on patent prosecution in the electromechanical arts with an emphasis on biomedical devices. She has prepared and prosecuted hundreds of patents directed to various technologies including MRI-based inventions. In addition to being included in The Best Lawyers in America® (2013-2018), Super Lawyers (2006) and Business North Carolina’s Legal Elite (2004, 2006-2011, 2014-2018), Richardson was named a winner of the Triangle Business Journal Women in Business Award in 2015 and is one of the co-creators of “PROJECT TOGETHER,” a pro bono program providing representation to indigent clients in domestic violence court proceedings. She received the 2008 Pro Bono Impact Award for her work on this program. This is the first major legal industry award for Scott Moore, who is admitted to the bar in Illinois, Georgia, and North Carolina, and is registered to practice before the U.S. Patent and Trademark Office. His practice focuses on the preparation and prosecution of patent applications in the areas of electronics, communications, software, and electrical engineering. Managing Partner Jim Cannon is experienced in patent prosecution in mechanical engineering, chemistry and biotechnology areas, with particular expertise in papermaking machines and component technology, manufacturing technology, motion furniture, battery construction and manufacture and plastic part manufacture, and communications and power connector technology. He was named The Best Lawyers® 2018 Patent Law “Lawyer of the Year” in Raleigh; has been included in Chamber and Partners (2017), The Best Lawyers in America® (2008-2018), Super Lawyers (2006-2007); and Business North Carolina’s Legal Elite (2004-2013). David Beatty has experience in patent prosecution and client counseling in the mechanical and electromechanical arts, intellectual property litigation and licensing, infringement opinions, and trademark prosecution and counseling. He has argued appeals before the U.S. Patent and Trademark Office Board of Patent Appeals and Interferences, as well as the Trademark Trial and Appeal Board. His accolades include being ranked as the #1 business lawyer in North Carolina in 2014 by Business North Carolina magazine, based on a poll of North Carolina lawyers; being inducted into the magazine’s Legal Elite Hall of Fame; being named to Best Lawyers® 2014 and 2015 Trademark Law “Lawyer of the Year” in Raleigh; and being included in The Best Lawyers in America® (2013-2018), Business North Carolina’s Legal Elite (2006-2014), Super Lawyers (2006-2013) and Martindale-Hubbel® AV Preeminent Rating (2002-2014). In addition to 2018’s IP STARS , Randy Ayers has been previously named to Best Lawyers® 2013 and 2015; won the 2018 Litigation Intellectual Property Law “Lawyer of the Year” in Raleigh; and was included in The Best Lawyers in America® (2012-2018) and Business North Carolina’s Legal Elite (2006-2009). With expertise in communications and semiconductors, Ayers’ practice focuses on patent prosecution in electrical engineering technologies, as well as patent licensing and patent opinions. The attorneys at Myers Bigel work in a unique structure, as the firm is organized as an inverted pyramid without dedicated “rain makers” passing-off new work to inexperienced attorneys. Every attorney at Myers Bigel is a substantive working patent lawyer, committed to clients from first meeting through the nuts and bolts of the patent preparation, filing and approval process. This system keeps client costs low and Myers Bigel attorneys engaged, happy and motivated to ply their craft. 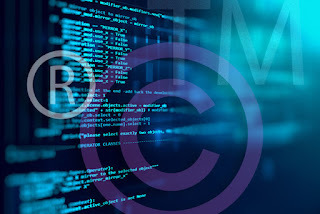 Myers Bigel provides expertise in all intellectual property areas, including trademark and copyrights, as well as patents. Operating out of the Research Triangle Park area of North Carolina, Myers Bigel represents corporate and university clients located in the Carolinas, throughout the Southeast, across the United States, and in Europe and Asia. For more information, visit www.myersbigel.com. Myers Bigel is an intellectual property law firm combining patent law expertise with a stable continuity of counsel to produce quality patents that stand up to scrutiny. We are the largest independent patent law firm in the Carolinas, continually ranked among the top national firms by well-respected legal media and industry organizations. Our knowledgeable, vibrant team of attorneys with degreed technical experience successfully acquires, protects, enforces and defends patent assets and intellectual property in a variety of fields including biotechnology, chemistry, electronics and computing, mechanical and trademark practice, as well as in litigation. Headquartered in Raleigh in the Research Triangle Park region of North Carolina, with clients spanning the globe, we remain active in symposia, seminars, and continuing education efforts to further best practices in intellectual property protection and enforcement. For more information on our high quality work visit www.myersbigel.com.